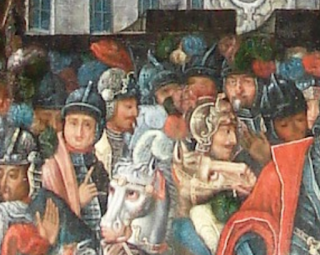 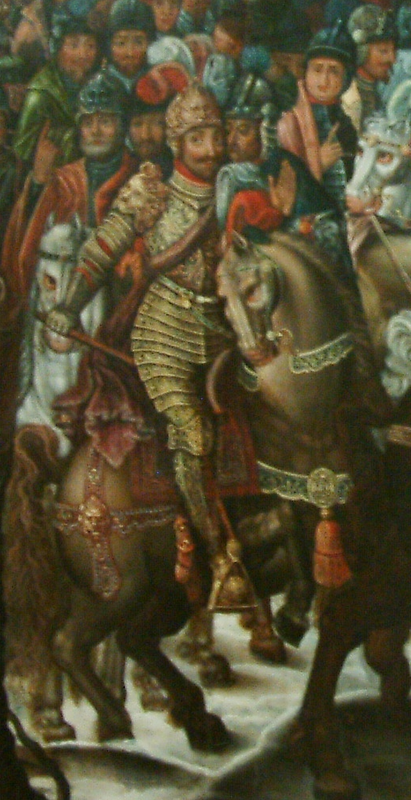 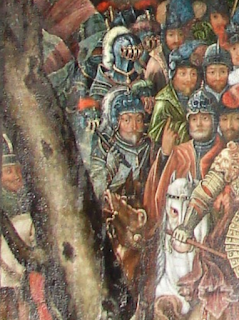 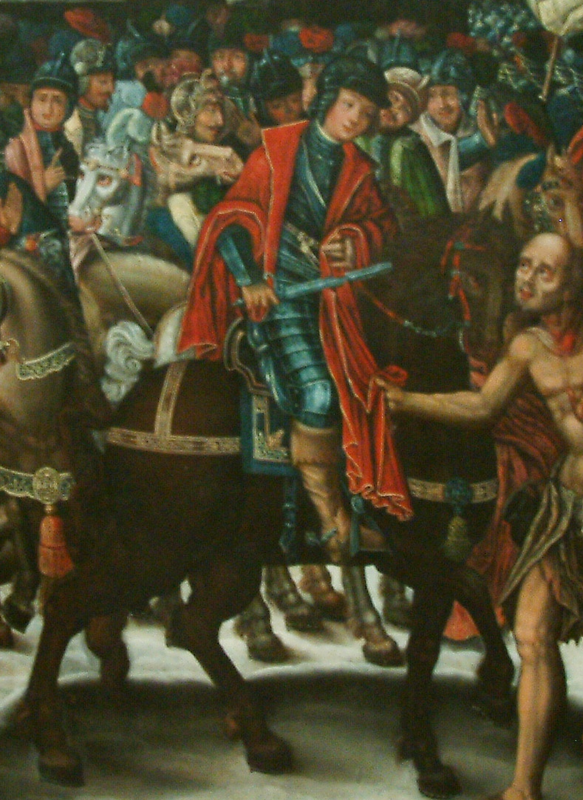 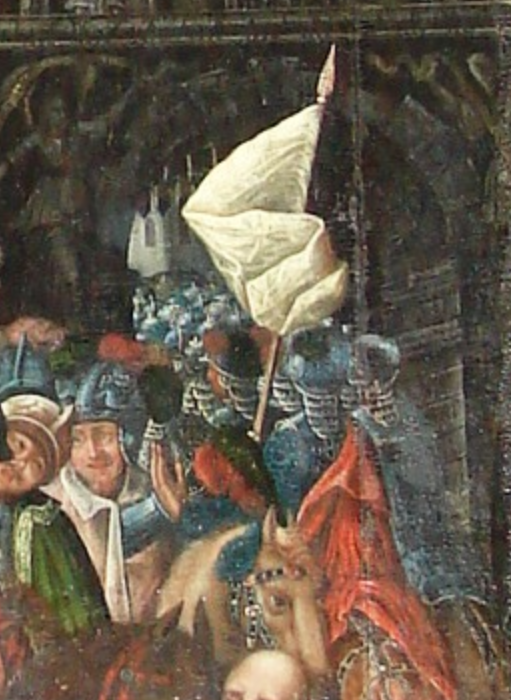 that not only brings the narration of our Saint sharing his cloak with a beggar while entering Amiens (France), but also it is a large and equestrain group portrait of the Polish Crown rulers, king Sigismund (the first imaged in this post) and his son Wladyslaw, and magnates and important figures, and also winged hussars of the era, all armoured from cap to toe -:) . 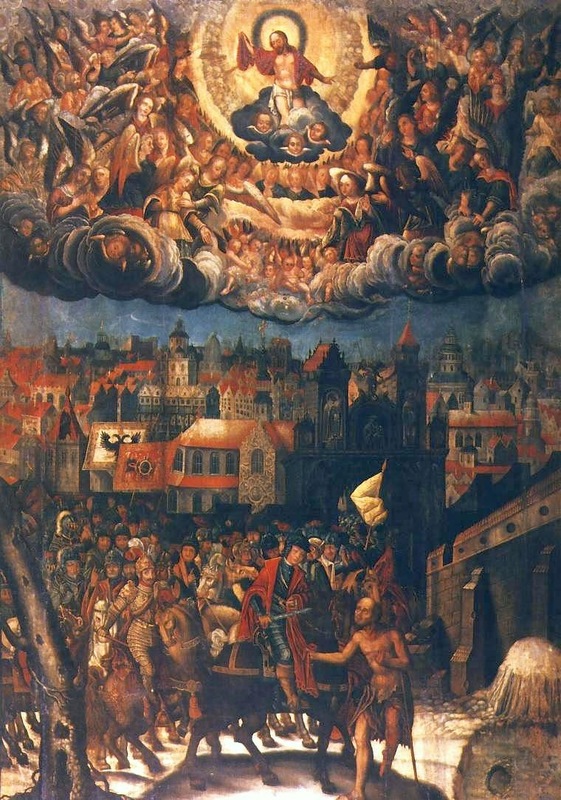 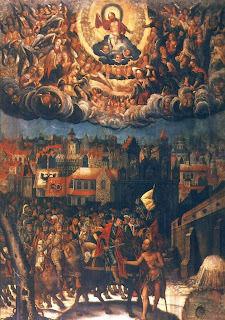 it was painted by a local artisit and priest - Krzysztof Boguszewski Ostoja coat of arms, circa 1628 and is located in St. Martin chappel at the Archcathedral Basilica of St. Peter and St. Paul, Poznań. By the way, in Poznań there is a church named St.Martin, and from that church runs a main street named Saint Martin Street (the Polish-Soviet Communists tried to obliterate this name, and failed) and each year on November 11 you can eat a special Saint Martin croissant - 'rogal świętomarciński' - as Poznań celebrates this Saint's name day :) with a parade and sweets.